Storyboarding is a great way to plan and visualize your project before you go out and start filming. It can even be helpful to you once you start editing your project. Through storyboarding, you can plan what you’re going to be filming in your shots, the angles and sizes of your shots, the order of your shots and your camera movement to achieve different feelings. Storyboarding allows you to sit down and plan out all of your shots beforehand, so you don’t have to make all of those decisions on-the-fly when you’re out filming and have limited time. When you make the time to storyboard, you will spend more time planning each shot, which is going to make your project look much better-composed in the end. This tutorial will describe the different types of shots, shot angles, filming a conversation and camera movement so that you can make educated decisions when planning your shots. The storyboard will be particularly helpful to your camera person, because then they can see a visualization of what you have in mind for each shot, as opposed to just trying to interpret a description. When you’re filming, you don’t have to film your shots in the exact order that they appear on your storyboard. You can film your shots in whichever order is most convenient for you. 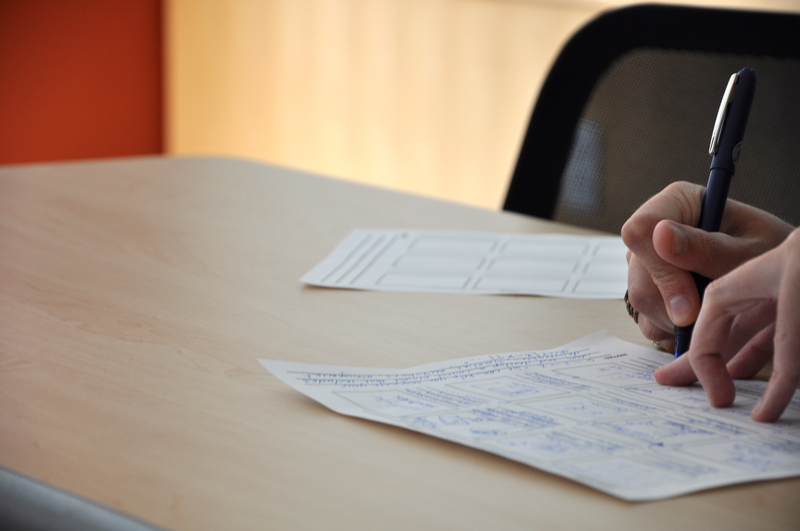 The storyboard can also then act like a checklist, so you know that you’re not forgetting to shoot any important shots. Your storyboard will also be helpful when you go to edit and have to rearrange your shots in the correct order. When creating your storyboard, you need to choose and indicate the content, order, size and angle of your shots, as well as the camera movement. If you will have voiceovers, you can also write down what section of the voiceovers will be heard over which shot. Click each storyboard overview to see how the students who created it translated their drawings into a successful finished video project. 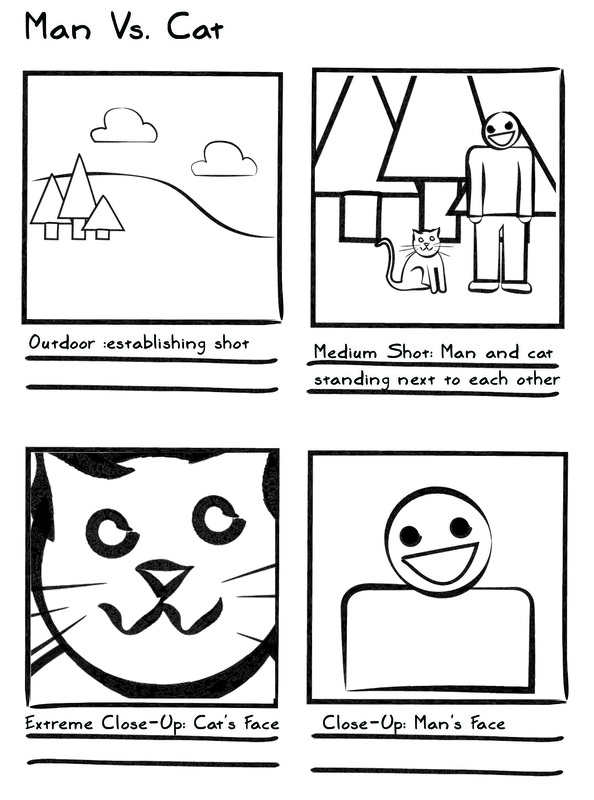 You can print out our Storyboarding Template to draw out your shots. It doesn’t have to be pretty: break out those stick figures! This is just one of many templates out there so feel free to Google for others or make your own, too. Working on a 360º video project? 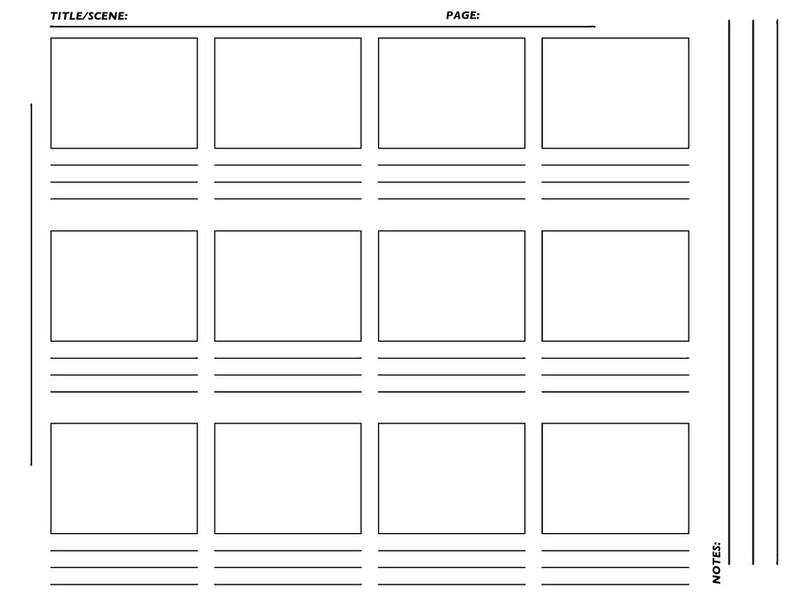 Download our 360º storyboarding template. There are various different shot sizes that you can use. Some simply make it easier for the audience to follow the action, while others have symbolic meaning that implicates something about the characters and/or plot. 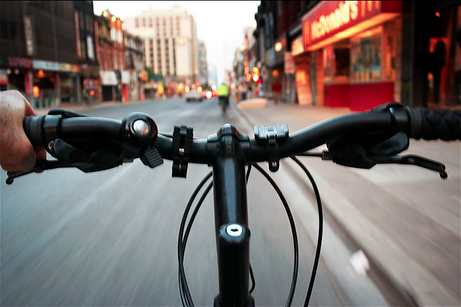 Additionally, keep the Rule of Thirds in mind when planning the framing of your shots! 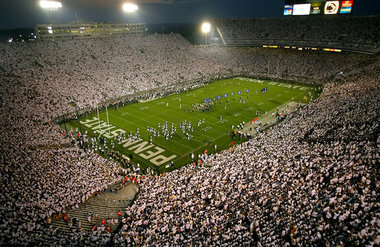 This extreme wide shot of Beaver Stadium not only shows the audience where we are, but also how large it is. 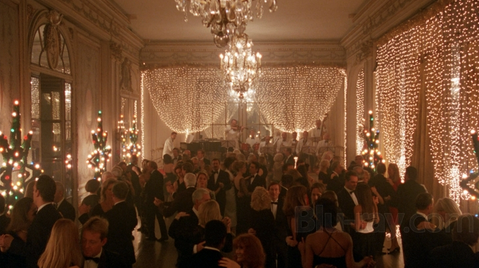 This wide shot of a ballroom lets you familiarize yourself with the location, the ambiance of the room (formal, warm), the nature of the activity happening (a party) and how crowded it is (quite crowded). 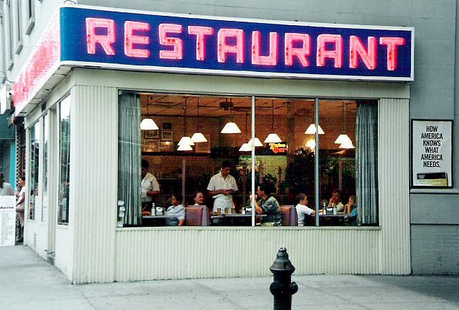 TV shows use establishing shots, like this iconic one from Seinfeld, at the beginning of scenes to let the audience know where the scene is taking place. 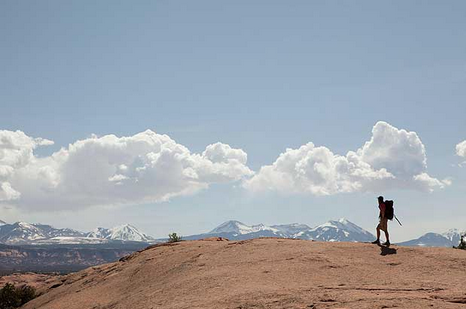 This wide shot from 127 Hours shows how insignificant Aron is compared to nature, which is certainly relevant within the context of the plot. This is the most standard and regularly used shot. It gives the audience a general look at what is going on while still letting them know what the focus or subject of the shot is. 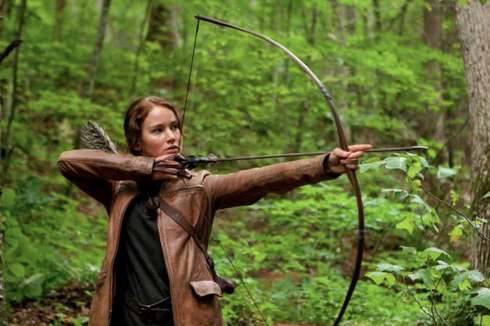 This shot allows the audience to get the full scope of what Katniss is doing (shooting an arrow), while also keeping the focus completely on Katniss. Although there is a lot of empty space in this shot, it is clear that Cobb is the subject. 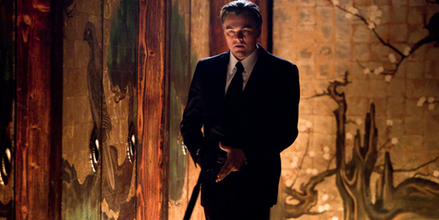 It allows the audience to be more familiar with his surroundings as he is moving. This is a shot size in-between a medium shot and a close-up. It makes the audience focus on a particular subject or subjects. 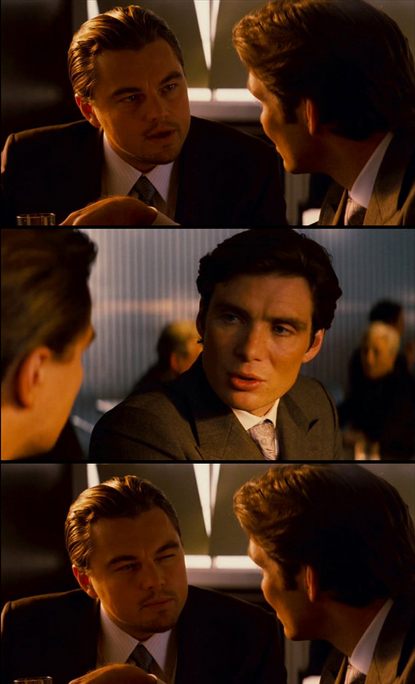 This is the standard shot for each actor’s individual shot in a face-to-face conversation. This shot size allows the audience to focus solely on the conversation and not be distracted by anything else in the shot. These are also examples of over-the-shoulder shots. 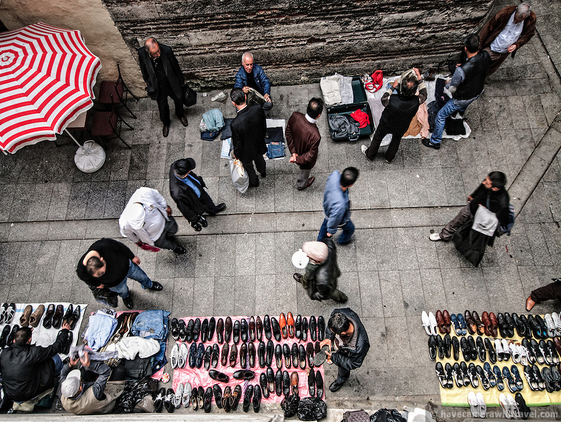 This kind of shot draws specific, dramatic attention to a character, object, or space. The subject usually fills the frame (example: a person’s face, a ball). It can also serve as a cutaway, which is a shot of an object or person that is a complement to what someone is looking or pointing at. Let’s say that a person has just left the room. 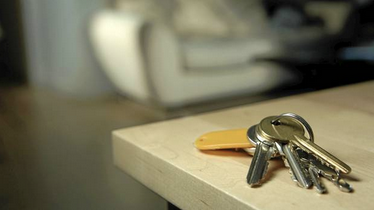 A close-up shot of their keys, such as this, right afterwards would indicate that they forgot to take their keys. 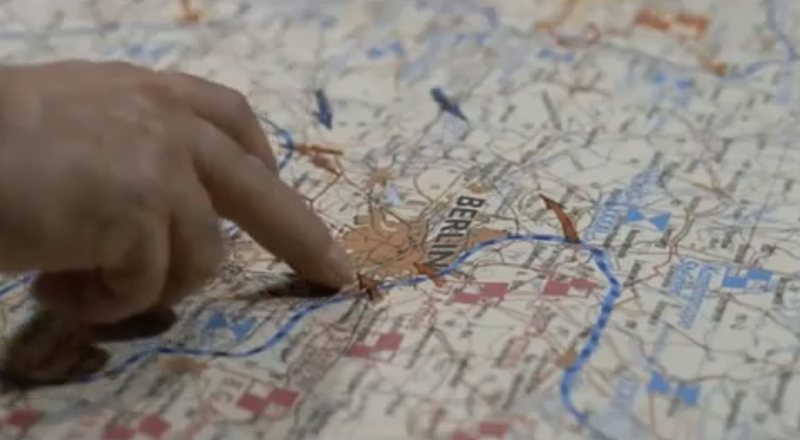 This close-up focuses on Krebs looking at the map and talking to Hitler. It is close enough to see the stress that he is experiencing. 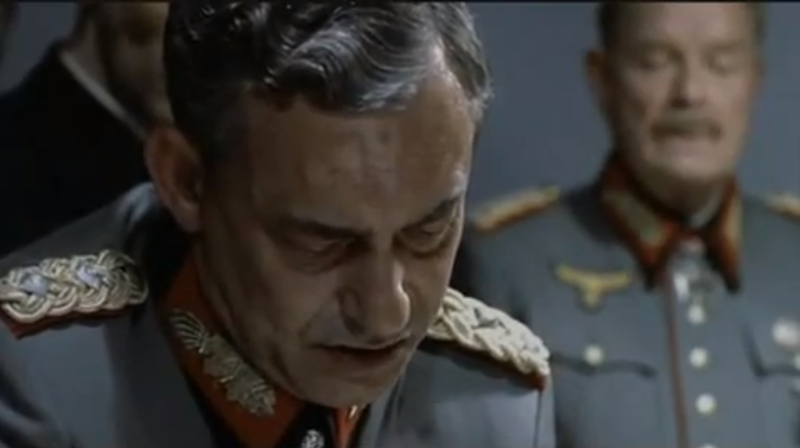 The close-up/cutaway that follows is a good complement because now the audience is able to see what he is looking at. This draws extreme attention to a character, object or space. Something specific on any of these subjects usually fills the frame (example: a person’s eyes, a spot on a ball). This often implies one extreme emotion (love, anger, sadness, etc.) or seeks to point out specific details. 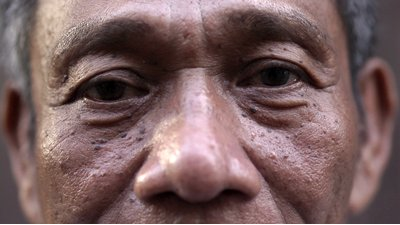 This extreme close-up highlights the sad, tired emotion in the man’s eyes. 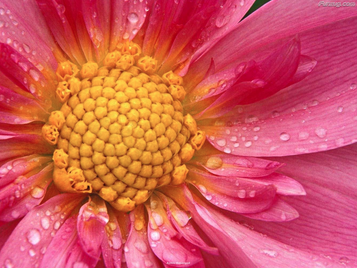 This extreme close-up allows us to see the details of the flower. This aspect of shots can have a lot of symbolic significance. This is a standard, neutral shot, and should be the angle you choose for the majority of your shots. All of the Shot Size picture examples above are instances of eye level angle shots. The camera is below the subject facing up. This angle almost always implies that the subject is powerful or imposing. This low angle shot of Peter Parker shows that he has obtained power through becoming Spiderman. The camera is above the subject facing down. This angle almost always implies that the subject is powerless or weak. This high angle shot of this little girl shows that she is weak and scared. This feels like the audience is observing what’s going on from above. It’s a good shot to use when you want to convey a lot of information in one shot and also make it neutral. 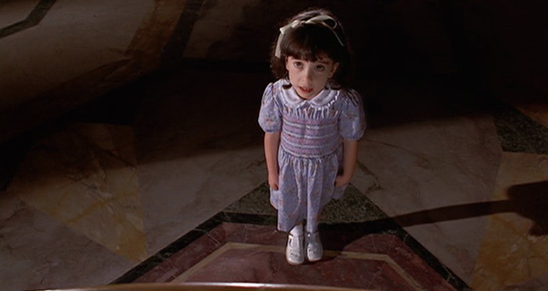 This shot makes it seem as though the camera is in the same position as the character’s eyes, giving the audience the impression that they are seeing things exactly the way the character is seeing them. When planning a scene, specifically a conversation, make sure that you follow the 180° Rule. 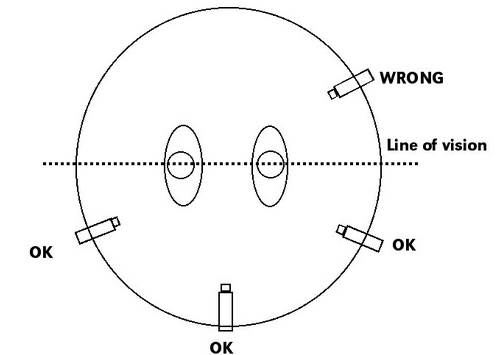 Once you pick a side to film a conversation, visualize an invisible line along the two actors’ eye lines. The camera is not allowed to cross that line. This is so that Actor A on the left is always on the left, and Actor B on the right is always on the right. If you cross the line, suddenly Actor A will be on the left in one shot and Actor B will also be on the left in another. It will feel wrong to the audience and may disorient them. It is good to use appropriate camera movement so that the audience can easily follow the action or so you can draw their attention to a particular part of the scene. The camera does not move. 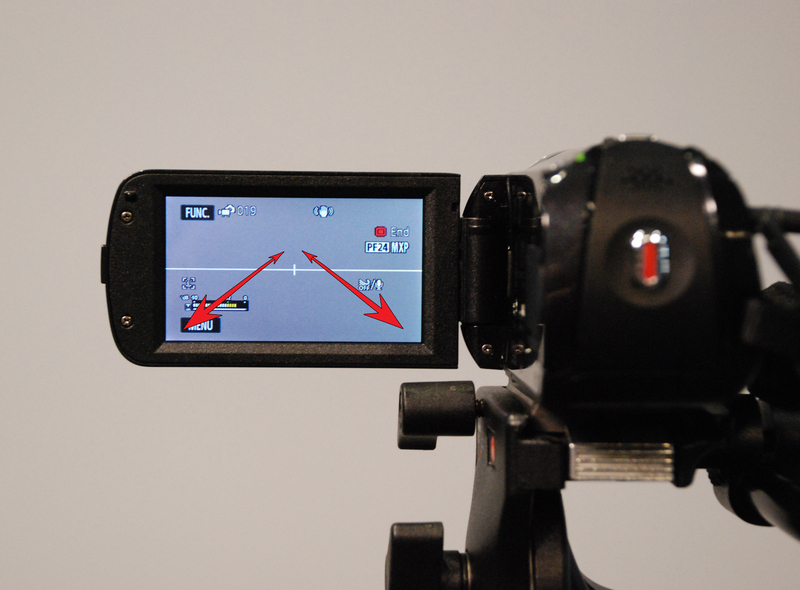 The camera moves from left to right, or right to left. The camera moves up or down. The camera stays still and, by adjusting the lens, the picture zooms in and out. The camera physically follows motion by either panning, tilting or trucking (literally moving the entire camera along with the action).